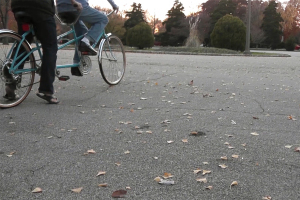 The front chain of this tandem bike has been removed. 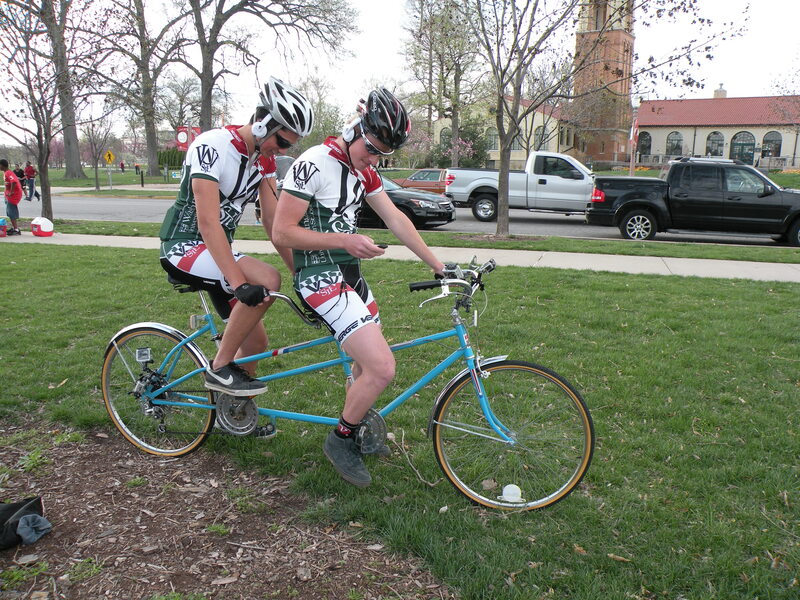 The interdependence of the two riders is accentuated as a component of the familiar system of a tandem bike is missing. 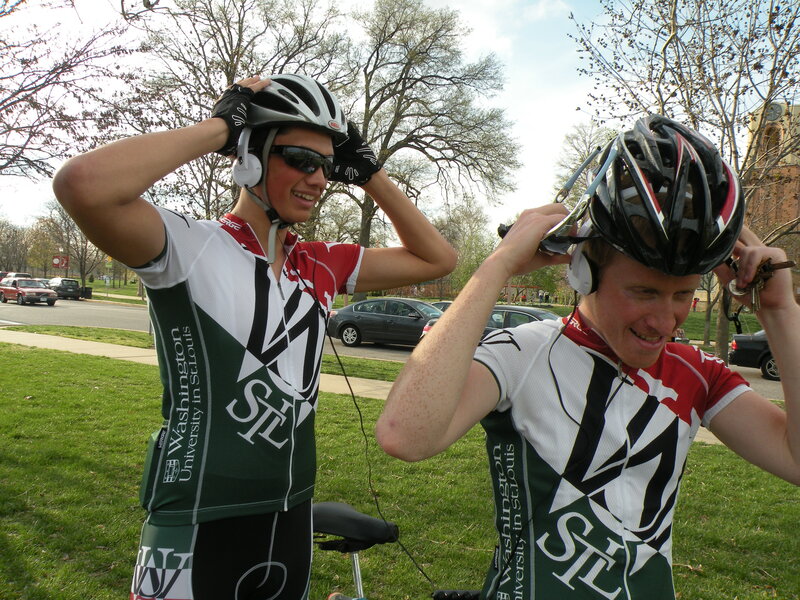 Riding the bike requires communication and adaptation. Both riders are needed and active. The person in the front steers and brakes while the person in the back pedals. The video on the right is of the attempts, failures and determination by the artist and her physically impaired sister to go for a short ride around a city park traffic island. The bike was altered as an experiment to see if the less-able bodied sister could go on a bike ride again. 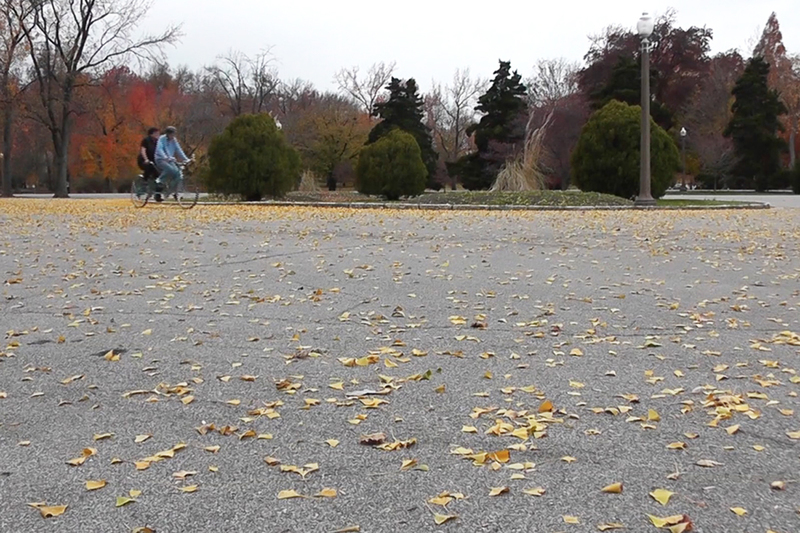 The video on the left is of two trained cyclists, accustomed to being self-reliant, riding the same bike around another larger city park loop while listening to audio of the impaired sister discussing adapting to the constraints of her physical being and times when she has escaped her identity to occupy a more able being. 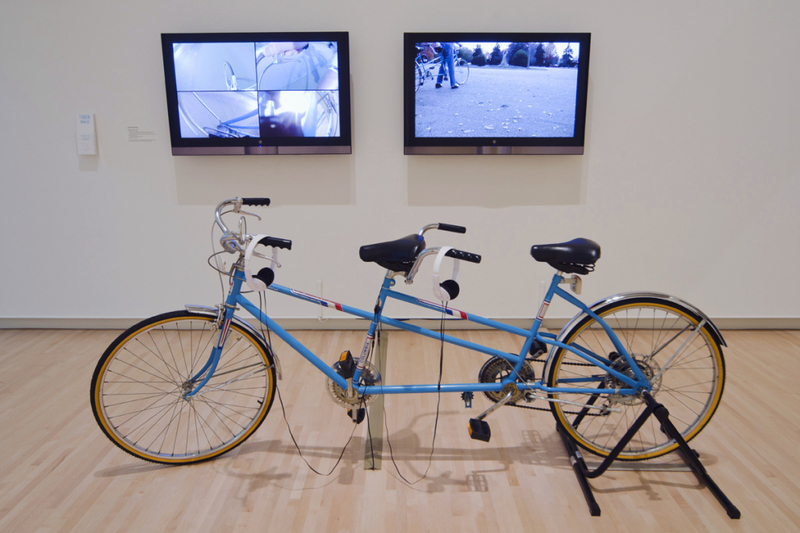 The bike inside the gallery space provides seating and holds the headphones with this same audio while a second bike outside is available for check out by the public to have a less mediated and more direct experience of interdependency. 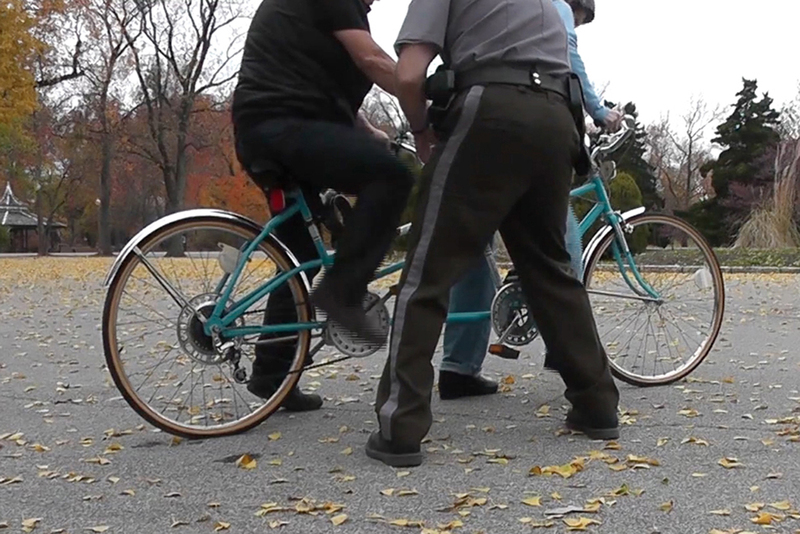 The interdependence of riding the bike, as seen in the videos and experienced with the public checkout, is an act of mutual vulnerability. The experience of the piece is incomplete without the viewer’s participation to make connection among the components. Like the missing chain that creates a bike that needs adaptation to be able to ride, the piece is reliant on the viewer to activate the piece. 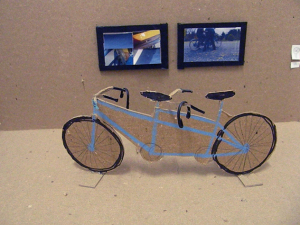 The completion of this loop happens when a viewer links the components by viewing, listening, or riding the public bike. When the viewer engages in this linkage, they are in a sense creating space.